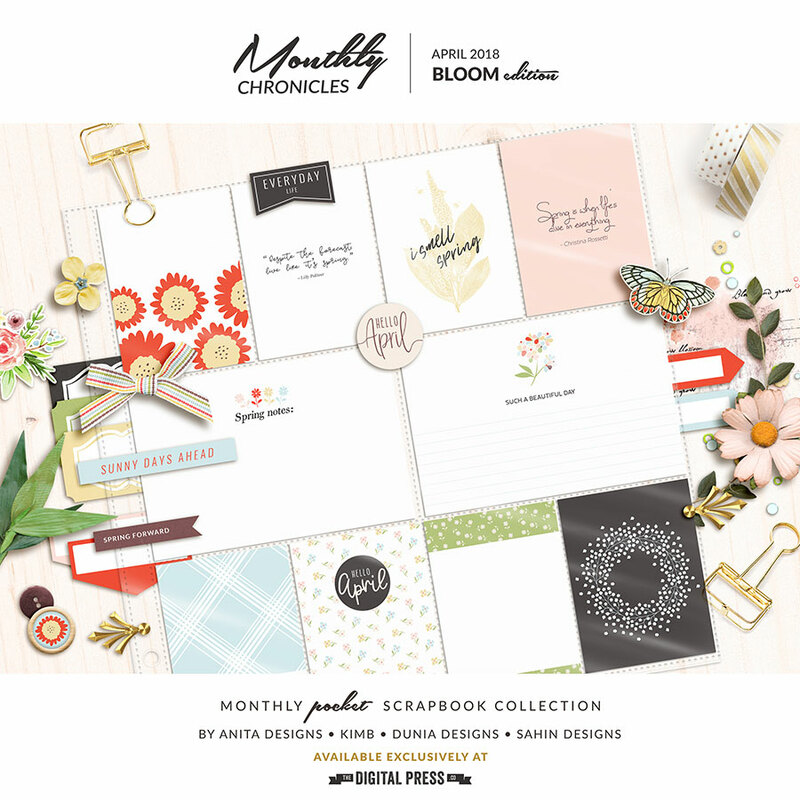 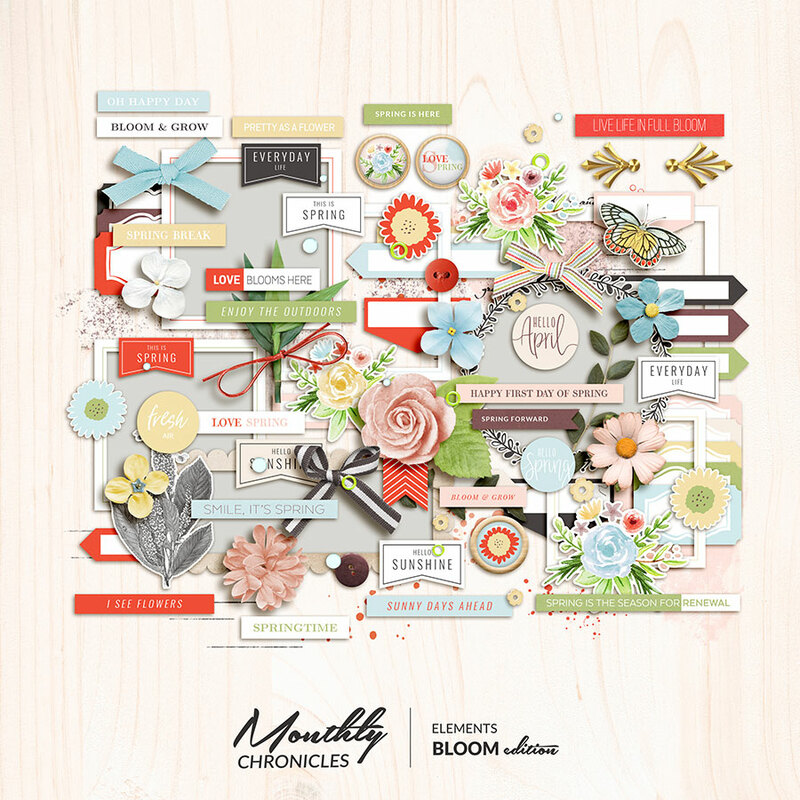 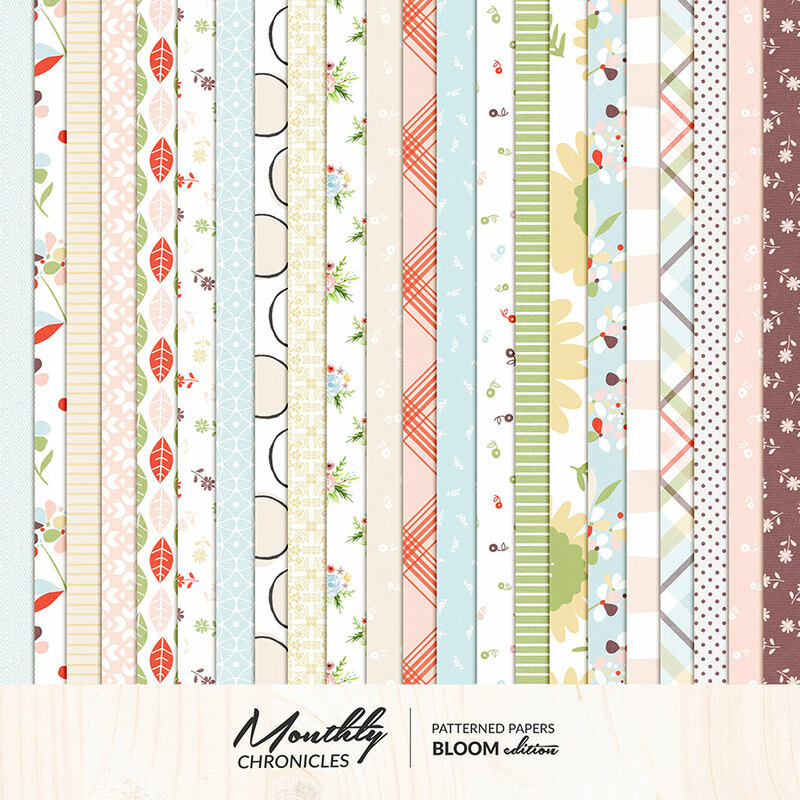 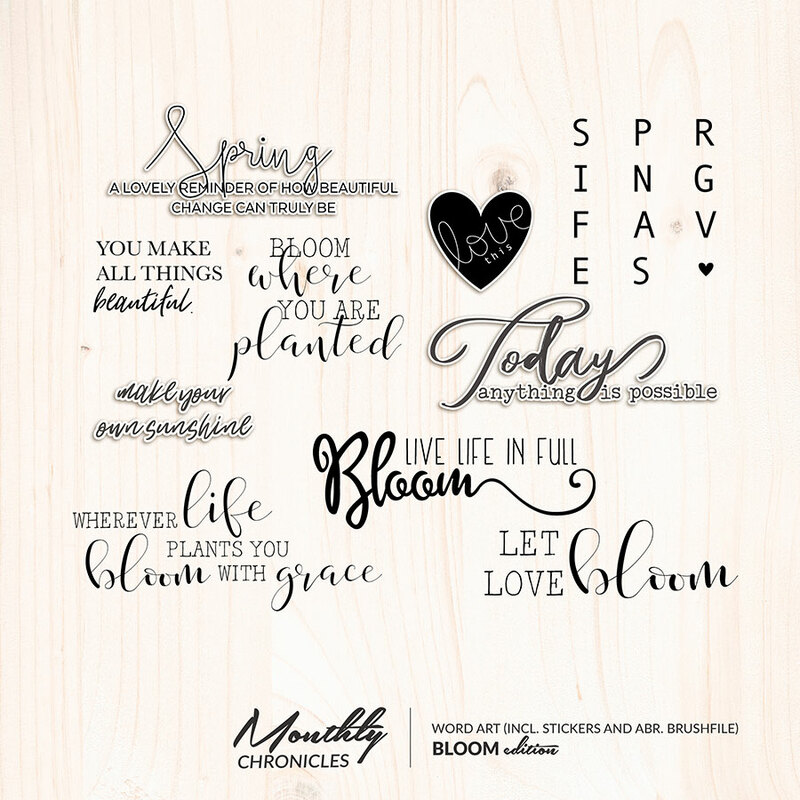 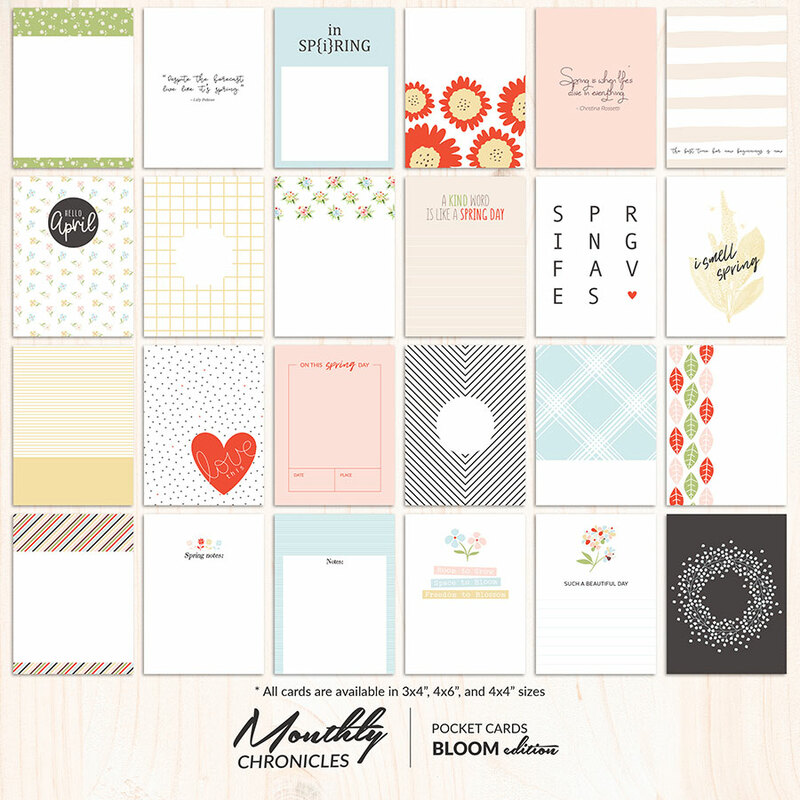 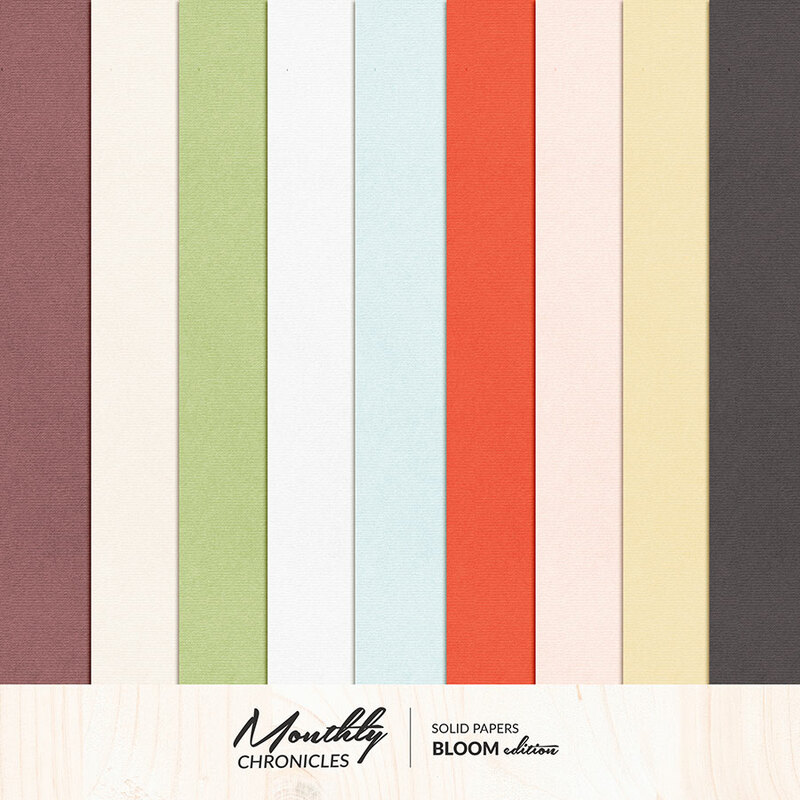 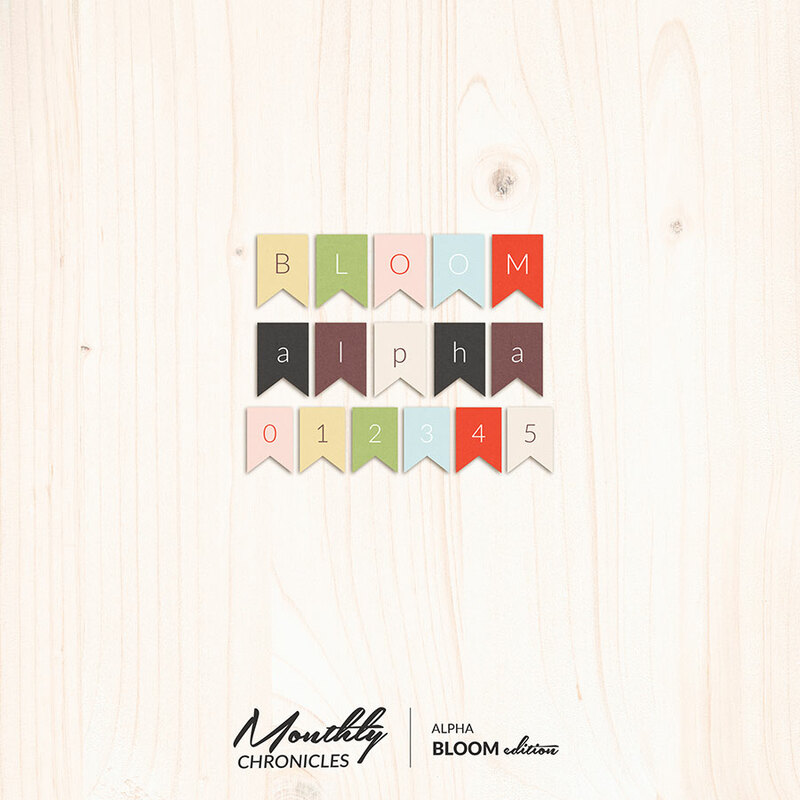 The Monthly Chronicles April 2018 Edition -- Bloom -- is the perfect collection for all things related to spring, sunshine, outdoors, and fresh air. 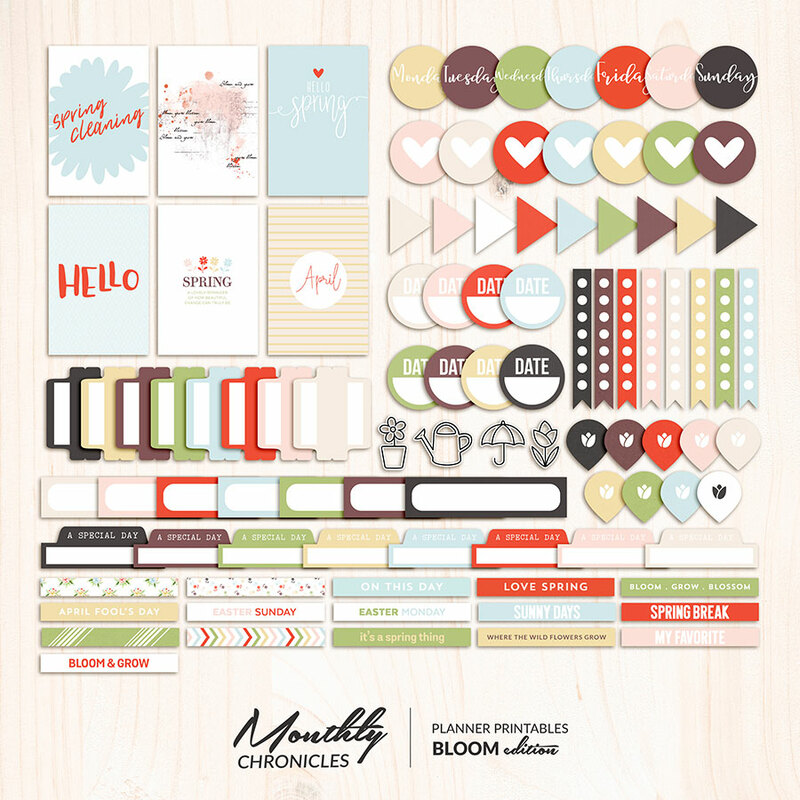 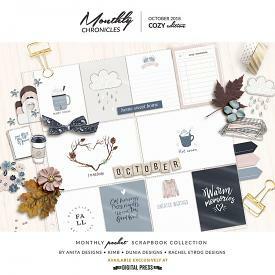 This fantastic collection will help you document (and/or plan!) 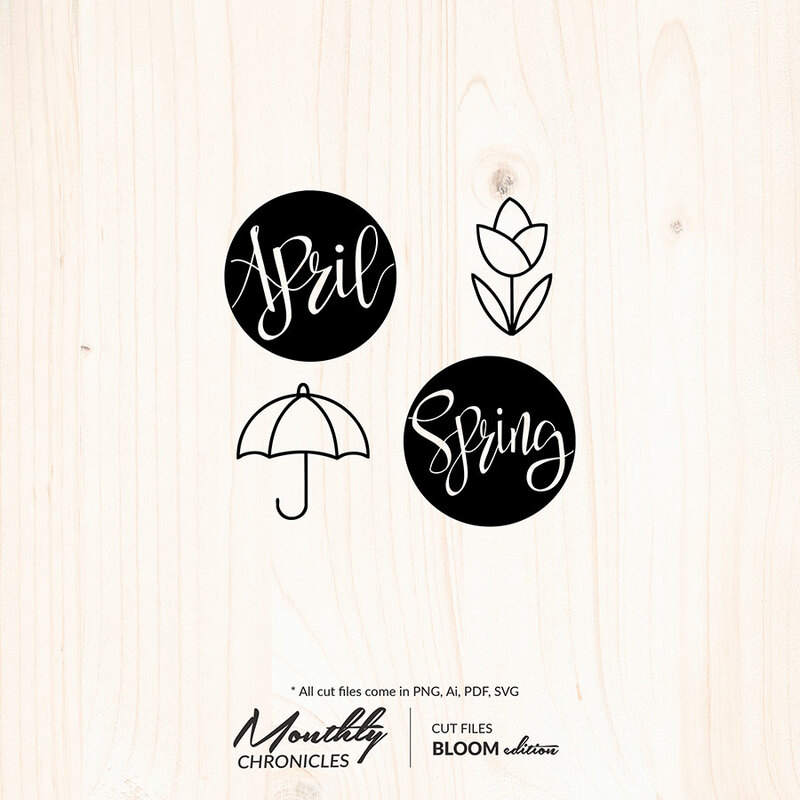 all those important other moments, plus your daily April memories. 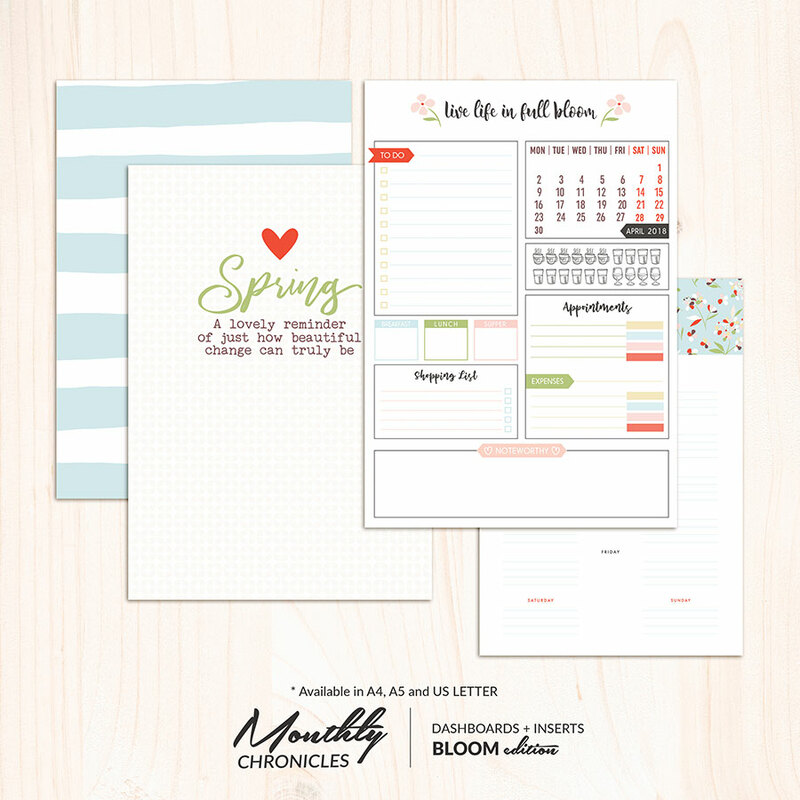 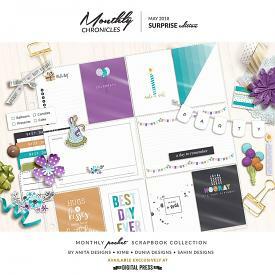 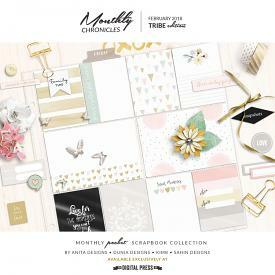 ...everything listed above, for all 3 options (digital, pocket, and planner) for one low price... at an extra discounted rate of $10 for April 2018 only!